Honest and reliable service, cost-efficient and reasonably priced. Exit 8 is a full service truck repair and maintenance business offering Heavy Duty Truck Repair for individual truck repair as well as fleet service, repair, and maintenance. Mechanic service is available Monday thru Friday 7am – 5pm. We offer a full line of diesel engine maintenance, service and repair on diesel powered vehicles including trucks, semi trucks, motor homes, buses, rv's, and many other diesel powered units. Services include diesel computer diagnostics, fuel & engine repair, performance tuning (including air filters, exhaust systems & computer upgrading), oil change, electrical, brakes, air conditioning, transmission servicing and most other general repairs. 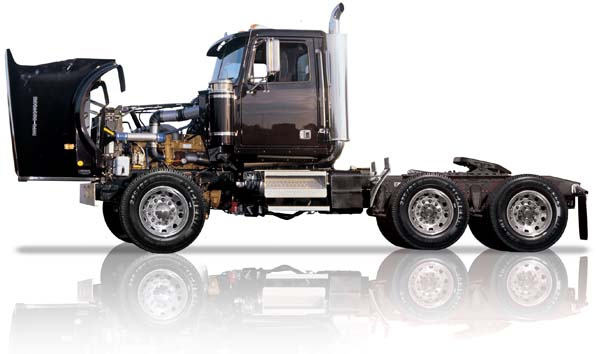 Our Certified Technicians are equipped with top of the line equipment to ensure your truck is diagnosed and repaired properly and in a timely manner. We use state-of-the-art diagnostic equipment to diagnose most problems and provide a complete estimate of the work before any repairs are performed. We proudly offer all of the following truck repair services and more!